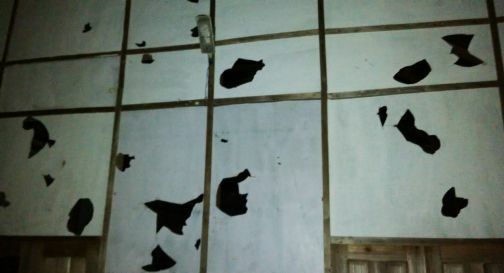 Aizawl, Oct 14 : Last night, in the self-proclaimed Christian state of Mizoram, a church building which belongs to the Baptist Church of Mizoram was torched by a mob in the area of Bawngkawn, Aizawl. According to reports, the land in which the church was built is currently under dispute between the locals and the church. The church has the LSC while the locals claimed that the land was given to them for building an indoor stadium by one of the legislators of Mizoram. As the dispute grew larger, the matter was settled in the court and as the church possesses the LSC, the court ruled that the church can continue their services. Unsatisfied with the ruling of the court, the residents of Bawngkawn Brigade area unexpectedly turned fierce and torched a church building. As the police gathered to calm the violent mob, an agreement was made which said that the church building should be demolished by the local church members with three days, upon failure of which the locality will take the responsibility of demolishing the said church. Still, no further actions have been taken up by the Mizoram government. Great Post with lots of information and Great Work and Nicely done. There are lots of information that is was not aware of.